I was browsing addnature and Naturkompaniet looking for products from Snugpak (I have their Kit Monster 65 bag in red) when I noticed a bag from Life is good. 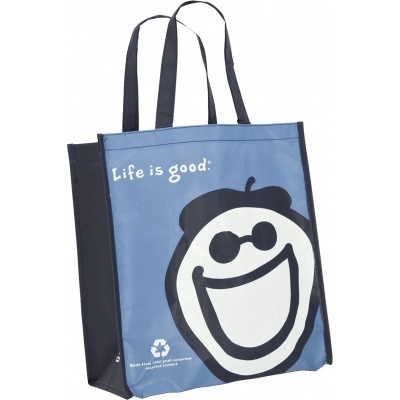 The smiling face and the text “Life is good” hooked me, I later went into Naturkompaniet in Malmö and bought the bag. Posted on June 14, 2011 by BengtPosted in Bits and piecesTagged Inspiration.